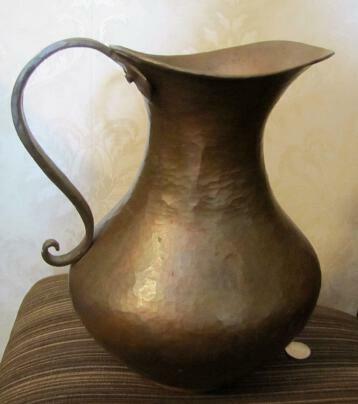 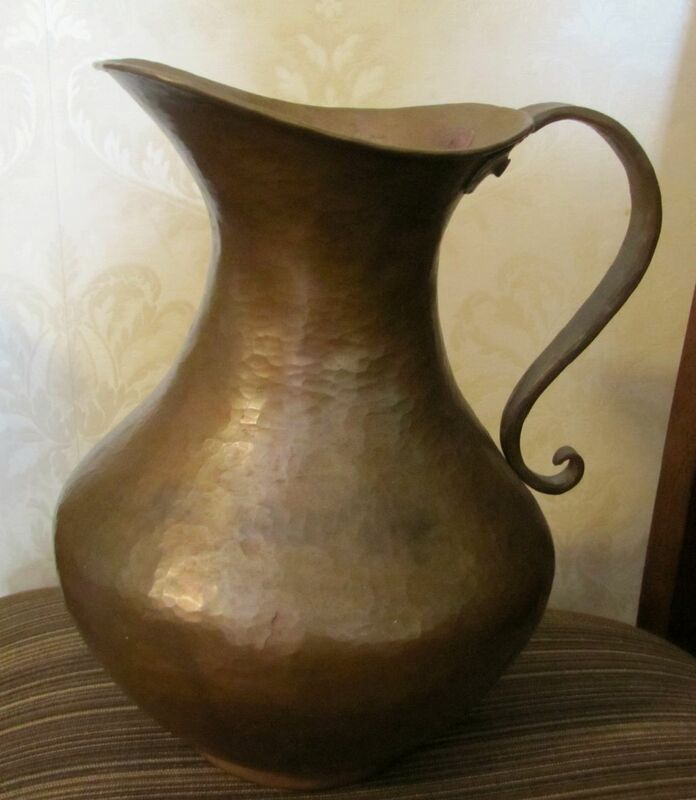 Great, vintage, large hand made and hand hammered solid copper pitcher or ewer. 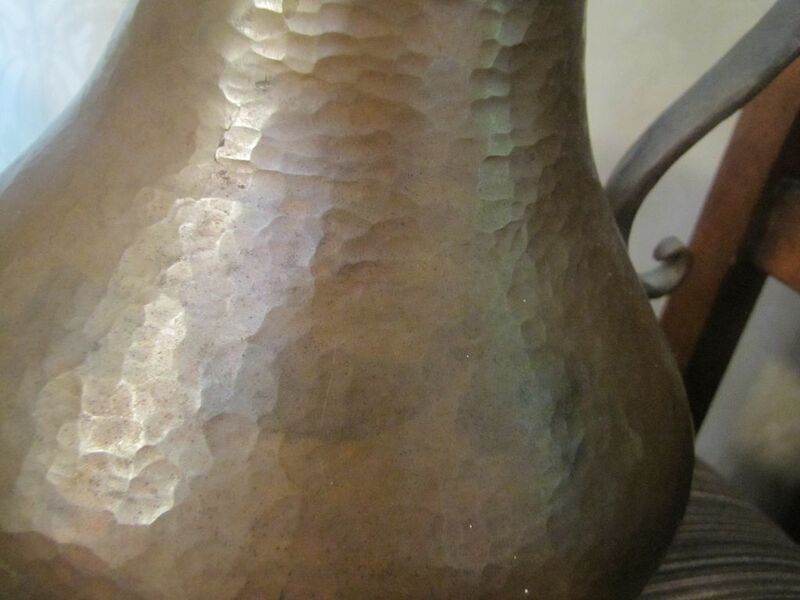 The entire piece has been hand hammered, including the bottom with a nice bulbous shape. 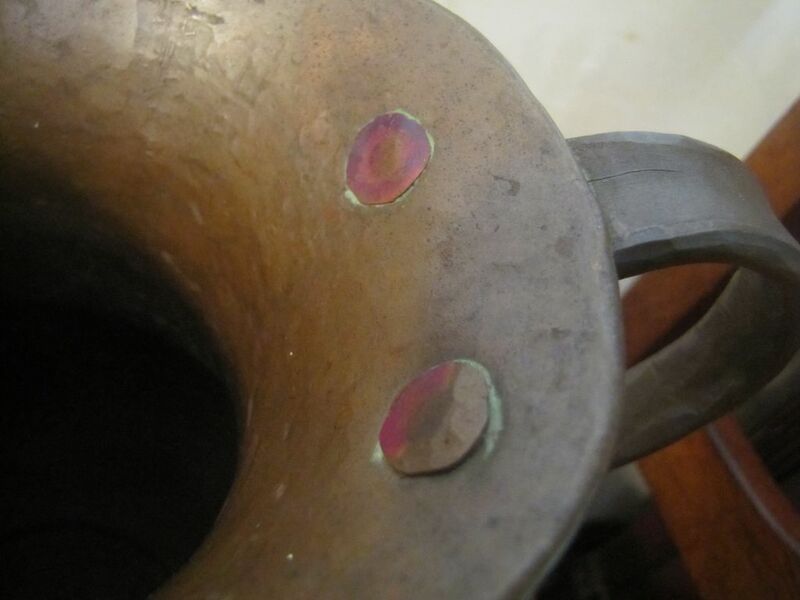 The scrolling decorative handle is solid and hand wrought and has been attached by hand riveting. 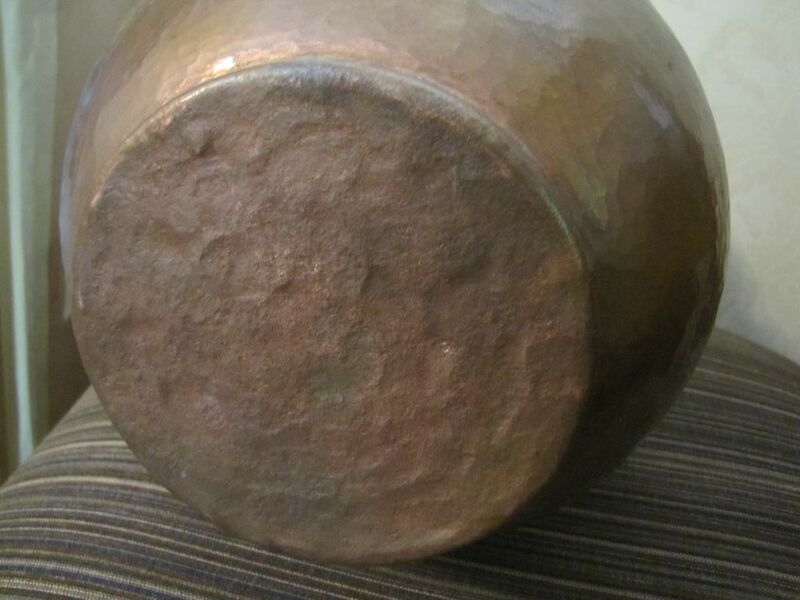 The lip on the top is rolled under also. 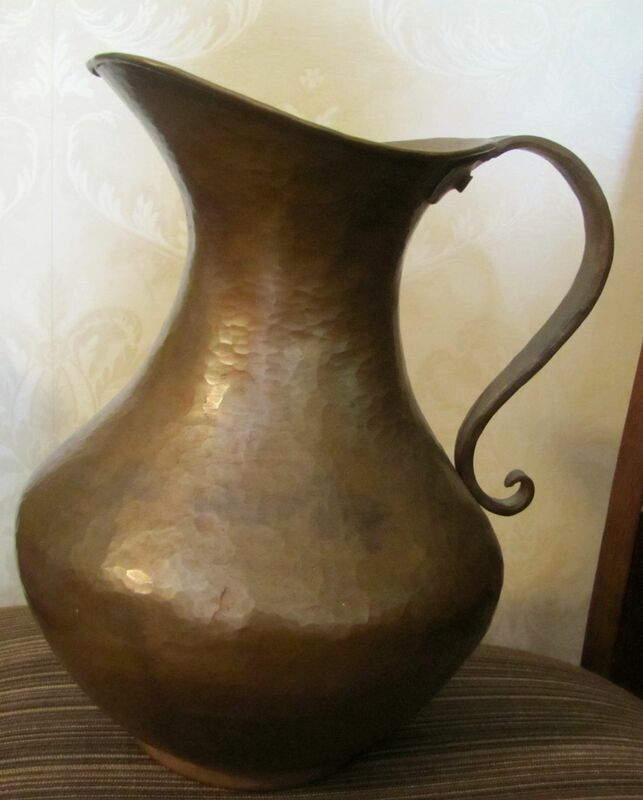 It stands 10 3/4" tall and is 8 1/2" wide, and is in good condition and heavy. 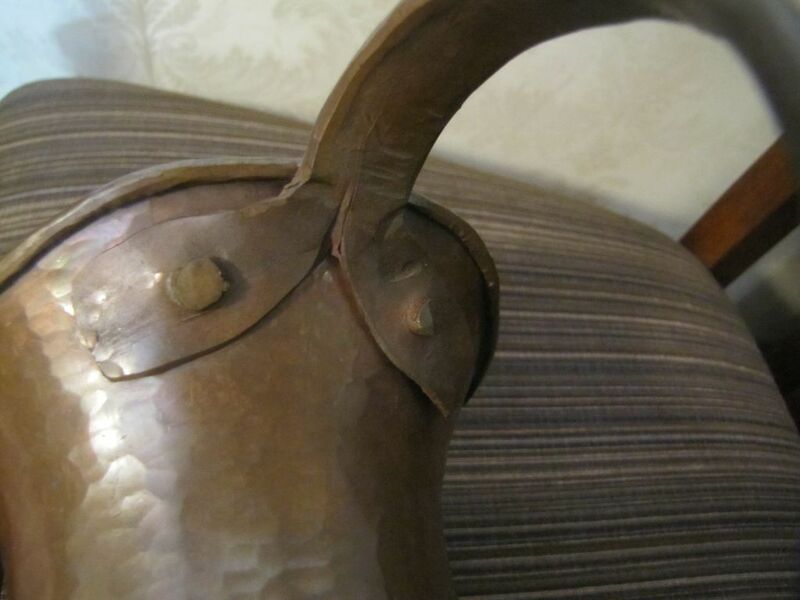 I purchased this at an antique shop about 15 - 20 years ago.